the picture comes in one design and runs on two "D" batteries. based aerosol, an odor eliminating aerosol or an insecticide. the most settings. It is clearly the most "configurable"
like the the Model 3000.
off every 7.5, every 15 or every 30 minutes. 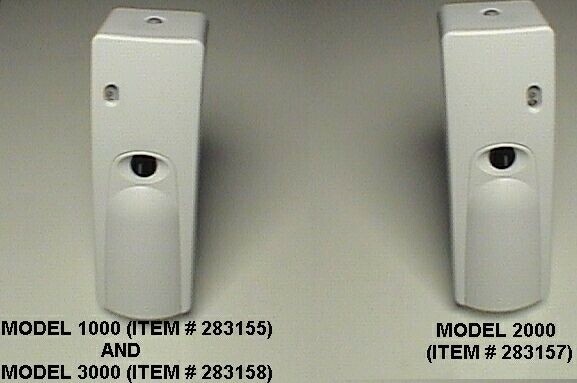 above and looks a lot like the Model 1000 and Model 3000.
this can be a very effective way to control product releases. up our Model 2000 right out of the box. flies, wasps, bees, gnats, etc. for case pricing of 20% total list price!